Frequently photo studios would have a pet dog that they would loan to a child to keep them still long enough for the photo to be taken. 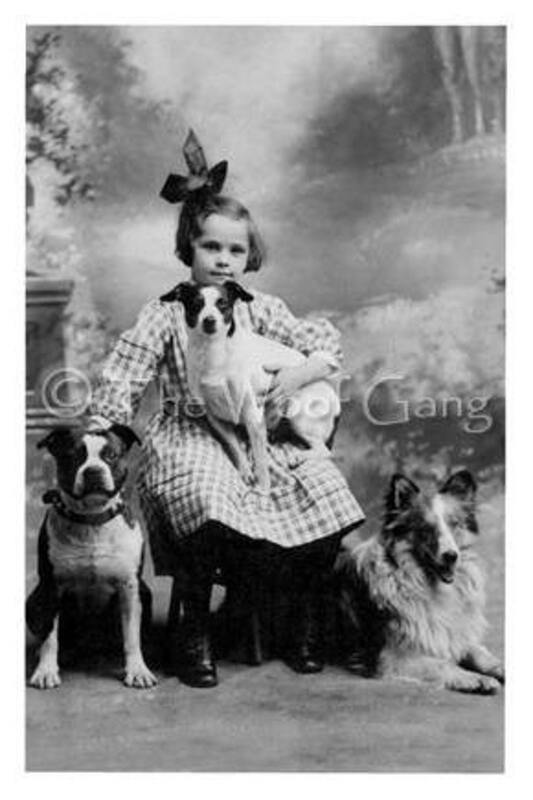 But I think you can bet that these dogs belonged to the little girl and her family. Looking at the glossy, well-groomed coats on the dogs, I think the family was as proud of them as they were the child. These weren't just pets, they were members of the family. I do wonder how the photographer managed to get them all to stay still long enough to take the shot, but I'm glad that he did. Fun and fantastic cards! Super fast shipping! I will definitely be a repeat customer!